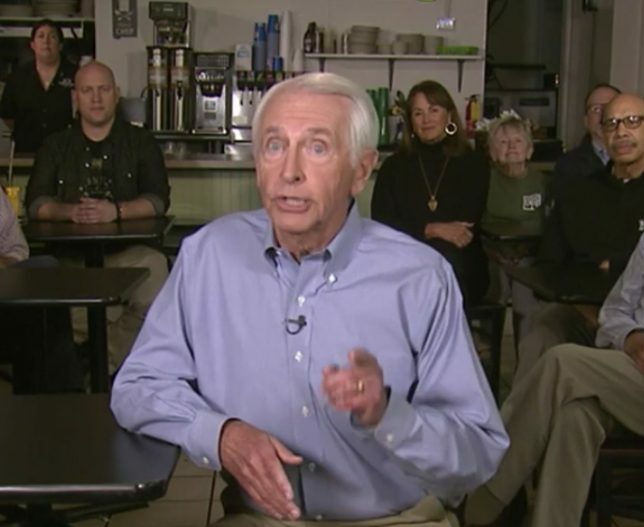 What is Steve Beshear’s malfunction? A grab of former Gov. Beshear from his televised rebuttal. What is wrong with former Kentucky Gov. Steve Beshear? The 72-year-old Democrat bunged up his rebuttal to President Trump’s joint address to Congress last night — BIGLY. Is Beshear the best the anti-Trump forces could muster?